Michael Magnus Thyne Henderson was born in London, England and grew up in Washington, D.C. Michael majored in music at Middlebury College where he met his wife Carol. They were married in 1964 and immediately headed to Afghanistan where Michael worked for the U.S. Information Service in Kabul. Michael and Carol both received Masters degrees at Teacher’s College, Columbia University in 1965 and then returned to Afghanistan where Michael was the Executive Director of the Kabul English Language Center for the U.S. Information Agency until 1968. He taught English for International students at St. Louis University for a year before being admitted into the Ph.D. program at the University of Wisconsin¬Madison. After receiving his Ph.D. in Linguistics in 1972, Michael became the Director of the Special Courses Division, Department of English, in Tripoli, Libya. He returned to Wisconsin and UW in 1973 where he was the Assistant Editor of the Dictionary of American Regional English until he was hired by KU to be the Director of the Applied English Center and Assistant Professor of Linguistics in 1975. During his tenure at the Applied English Center (1975¬1979), Michael always had time for students, staff, and teaching assistants. His interest in computers helped to bring scheduling and office automation to the administration of a rapidly growing AEC. From 1979¬2000, Michael taught in the KU Linguistics Department and was Chair of the Department from 1984 to 1987 and again from 1997 to 2000 when he retired. 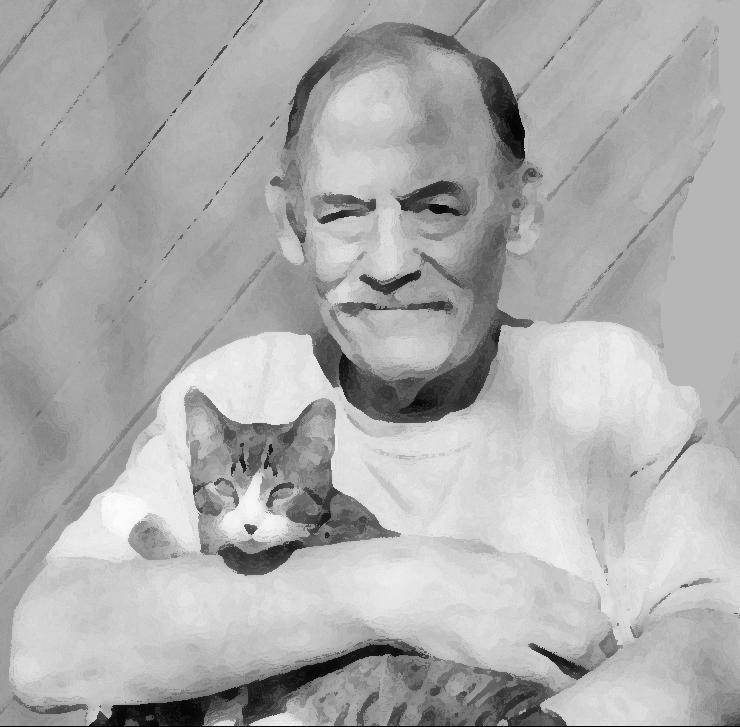 Michael was active for many years in the Lawrence Humane Society and the Douglas County Democratic Party. He tirelessly worked to raise funds for both organizations. In recent years, he was not able to attend functions in support of his causes, but he continued to follow the local and national activists and lent much support to friends and colleagues either monetarily or with long letters or email of encouragement. He leaves his “beautiful and intelligent wife,” Carol Hood Henderson of Neuvant House, and two cats, Basil and Charlie. He will be greatly missed. No services are planned at this time.